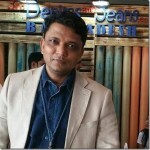 Bangladesh and China are the two South East Asian Countries which have been leading the US denim exports charts for the last few years alongwith Mexico. China was struggling few years back due to surging labor prices however now the country is recovering, but amid tariff war with the USA we’r not sure if it is going to sustain the recovery for long . Comprehensive analysis of growth in the exports of both the countries along with the changes in the average price of Mens and Womens Denim .